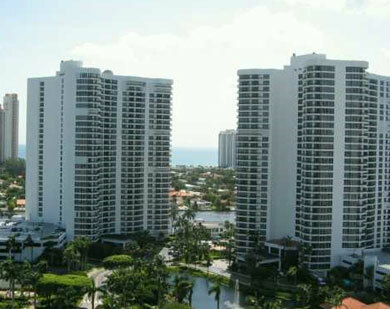 Mystic Pointe 100 is part of an Aventura condo community that includes five other buildings. Mystic Pointe 100 has one and two bedroom units available with 1,083 to 1,403 square feet of living area. It is thirty stories tall and provides plenty of great amenities, great residential features and captivating vistas of Aventura's own cityscape and the shimmering waters. The sauna and swimming pools of Mystic Pointe 100 are two of many great spots to spend time and/or unwind. Enjoy a game of tennis in the clay courts, go sailing from one of the boat docks that are capable of accommodating vessels up to 100 feet long, there is a lot to do in and around the building. The 282 units within Mystic Pointe 100 come with many modern features. Should you decide to bring a pet along to enjoy the Mystic Pointe 100 living experience with you, you should be aware that this building does not allow them. Find plenty of diverse shopping and dining near Mystic Pointe 100 at Aventura Mall or spend a day sunbathing on the sands of Sunny Isles Beach, Hallandale Beach or even Miami Beach to the south. Other places to explore near Mystic Pointe 100 include the village of Bal Harbour to the south and Hollywood to the north which is home to Young Circle.